Geek Girls Rule! 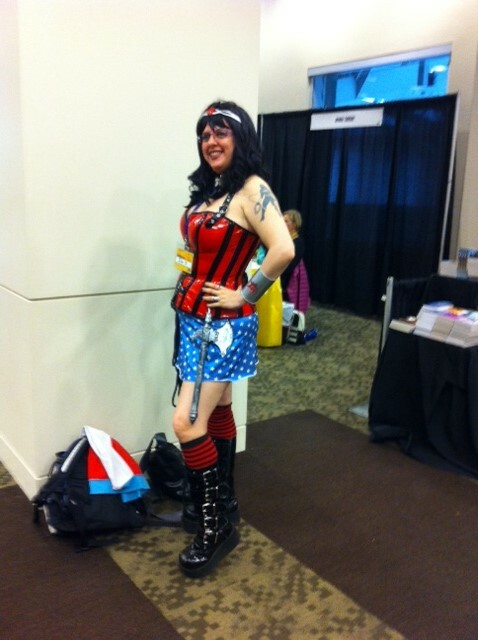 #270 – Geek Girl Con 2013!!!!! 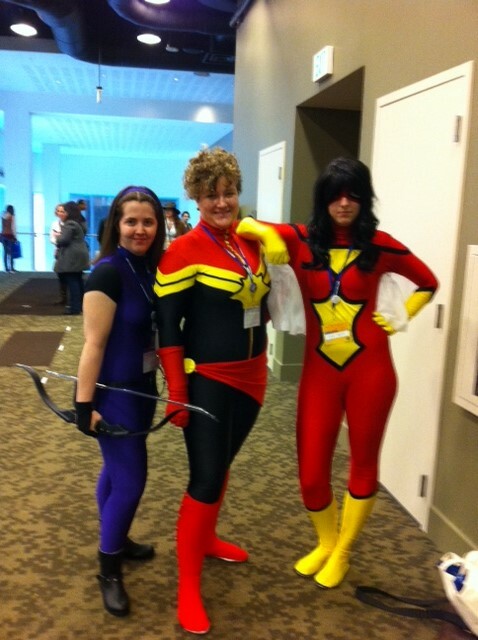 – Geek Girls Rule!!! 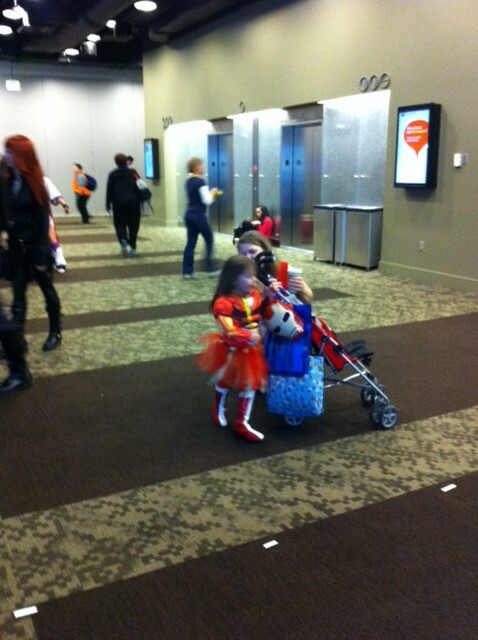 Geek Girls Rule! 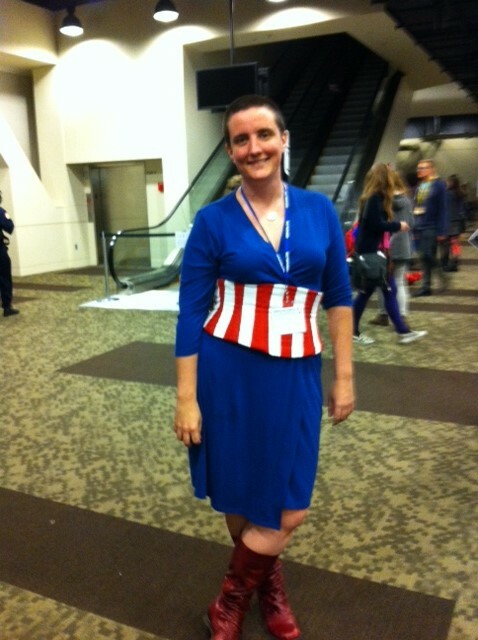 #270 – Geek Girl Con 2013!!!!! I love this convention so much!!!!! And this year I got to be a panelist! We did Fat Girl, Fat Fan Saturday during the masquerade, and still nearly filled the room. It was so wonderful!!! The other panelists, Teka Englund who organized it, Haviva Avirom, Rachelle Abellar, and Jo Jo Stiletto were AMAZING! The audience was incredible!!! I met so many amazing people because of this panel! 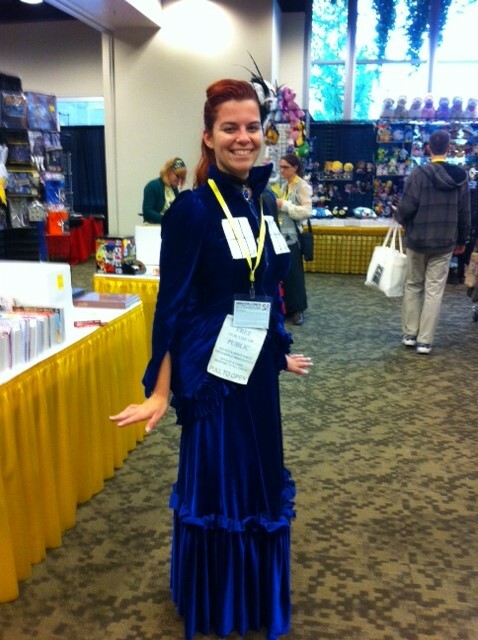 Including Kelly DeConnick, who was super awesome!!! Gods, the back to reality blues are going to hit me hard on Monday. They always do after a really awesome con experience. Anyway, I will talk more about what happened on the panel later, right now I want to share pictures of some of the awesome costumes I saw this weekend! 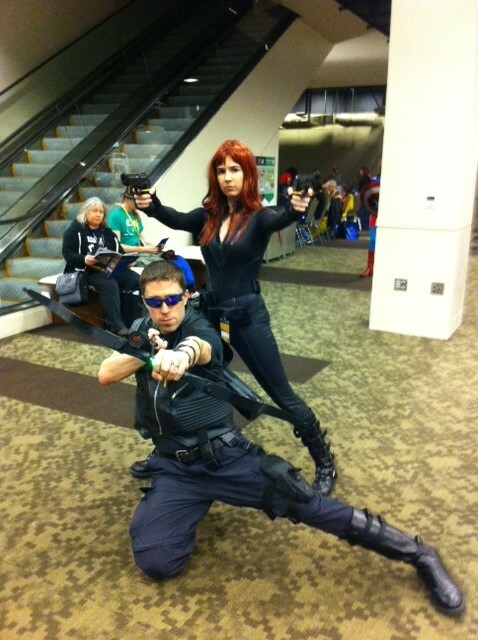 Let’s start with this awesome Black Widow and Hawkeye. 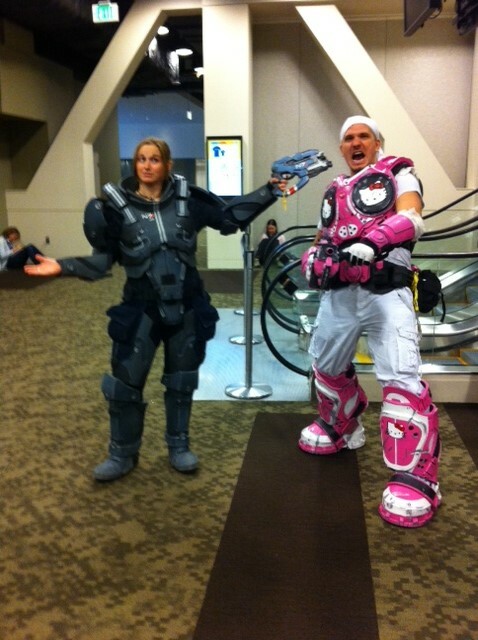 I’m pretty sure she’s in Mass Effect armor, while he’s rocking the Hello Kitty Halo armor. Correct me if I’m wrong. 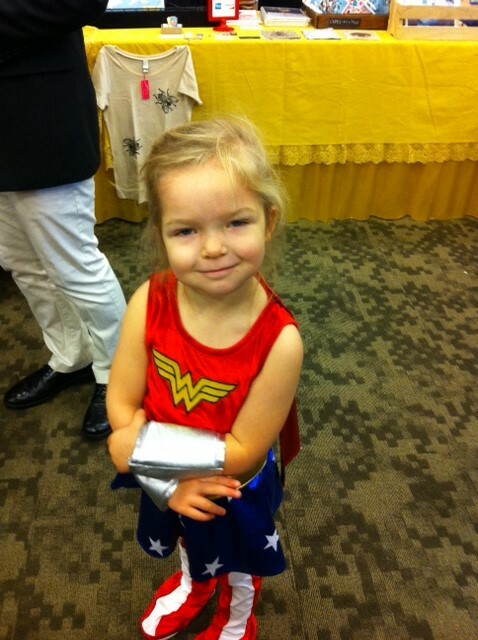 There was a little Wonder Woman. 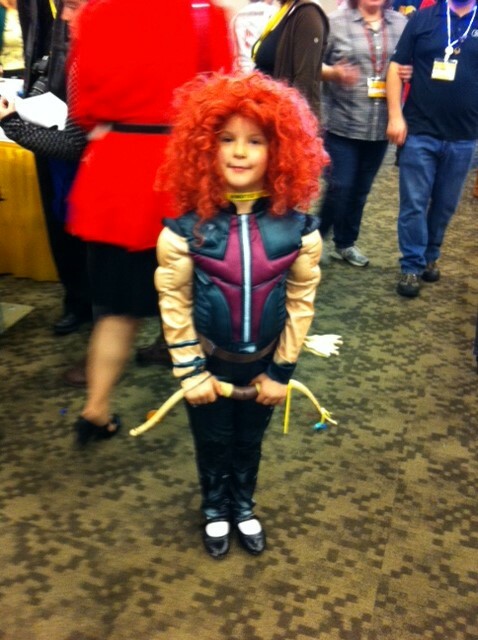 And one who was all grown up. 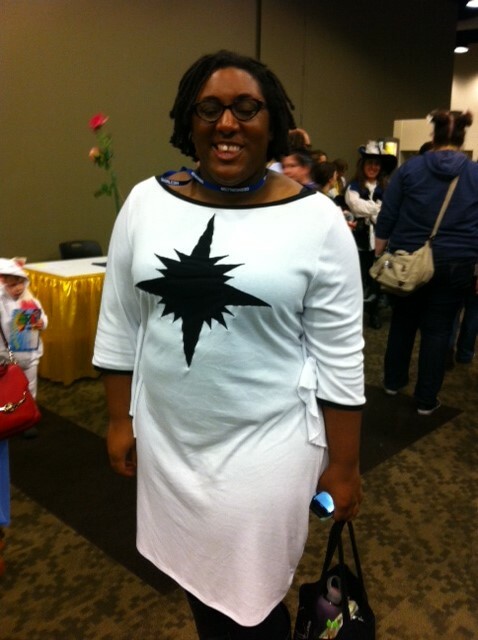 A very awesome, and reportedly comfy, Misty Knight as Captain Marvel. 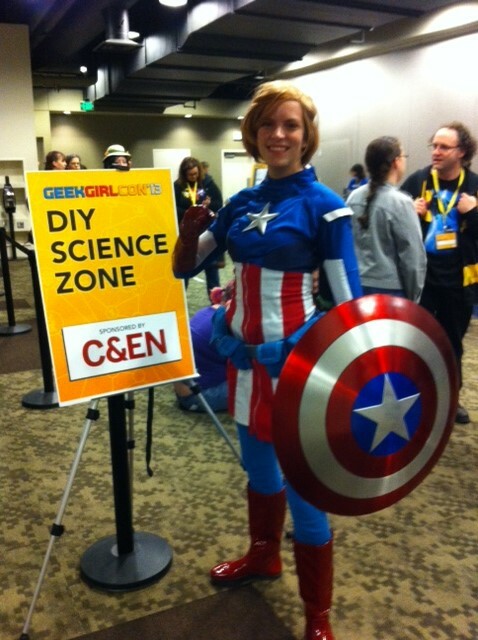 This Captain America was promoting SCIENCE!!!!! 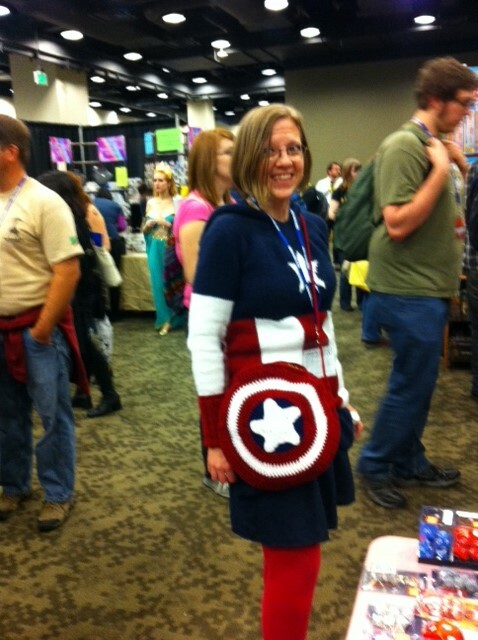 This Captain America KNITTED her costume!!! So awesome!!!! 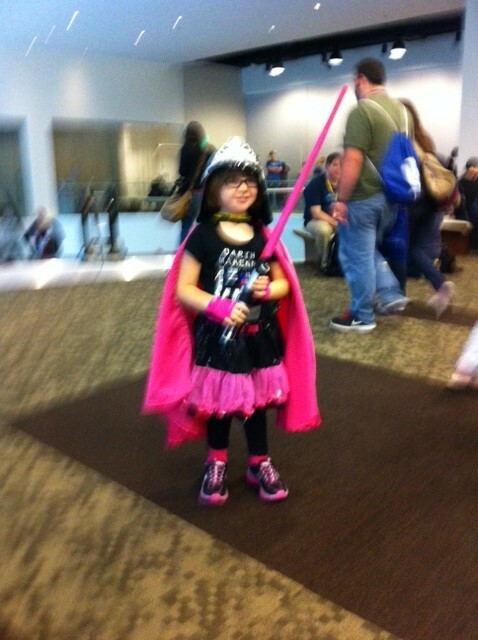 You can visit Darth Makenna’s Facebook here. 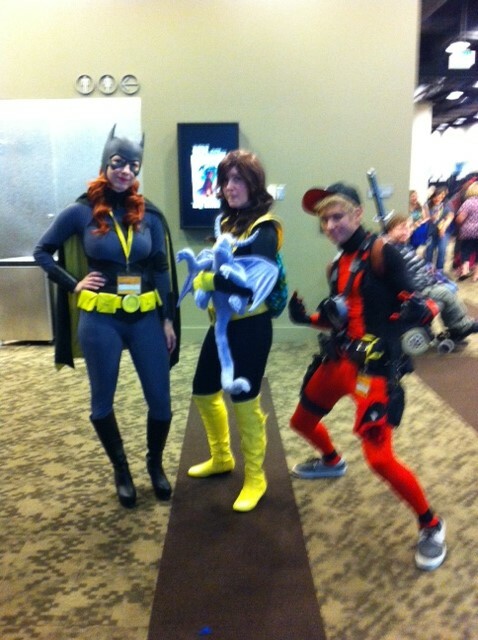 I met Batgirl, Kitty Pryde with Lockheed, and Deadpool. 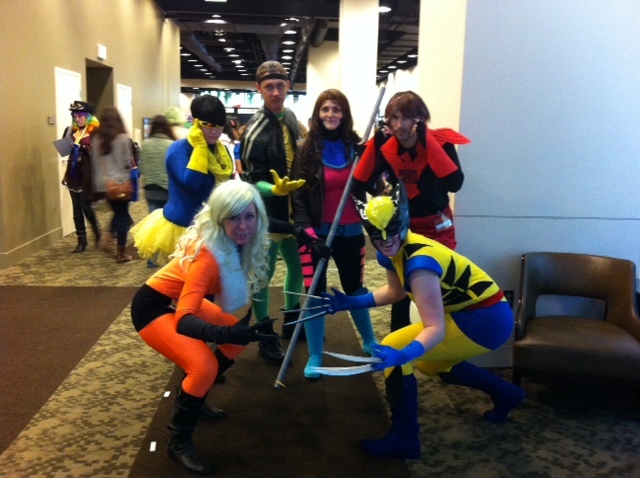 A gender-flipped X-men complete with Sabretooth, Cyclops, Rogue, Gambit, Phoenix and Wolverine. Bane, Captain Marvel, Catwoman and SuperGirl are members of Comic Book Characters for Causes. More on them later. 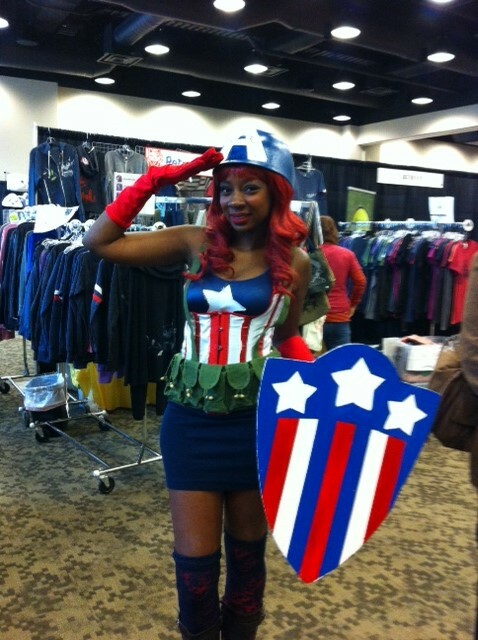 Geek Girl Con makes me so god damned happy! It’s amazing to walk into a space coded “Nerd” and have it be majority female. It’s just amazing and incredible, and it nearly moves me to tears because this is what representation feels like. I always have a fantastic time, and meet so many awesome women.